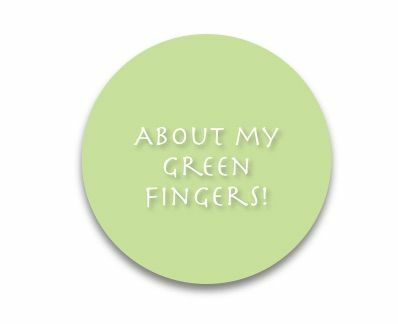 I have a large laurel tree in one corner of the garden – it was meant to be a laurel bush, providing bay leaves for cooking, but I forgot to prune it… The 30-years tree was uncovered last year when the garden was restructured and it is the area in the tree’s shade which is giving me problems. It is light, not dark, and there is an hour of sunshine in the late afternoon, but that is all. I don’t want to leave it completely unplanted so I need to find plants which will flourish in these conditions. 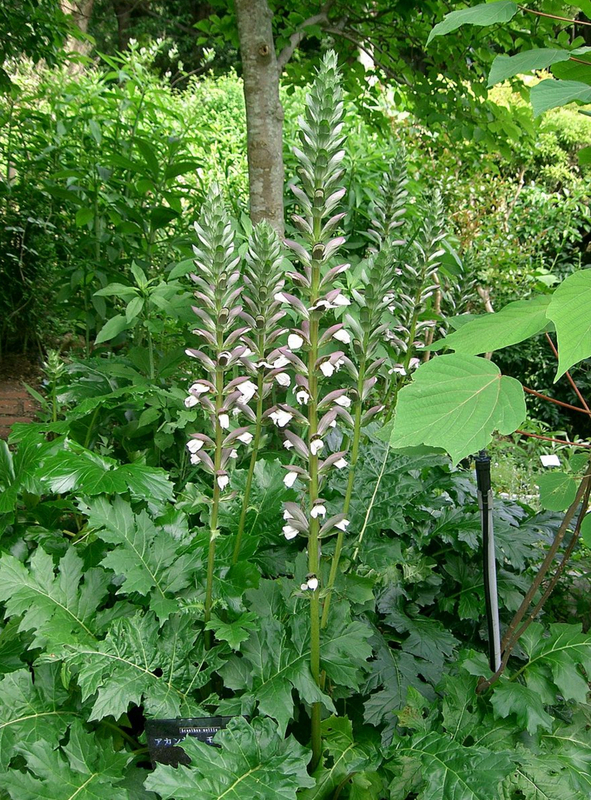 Acanthus Mollis – I have cuttings from the garden in Suffolk so would like to use ‘free’ plants first. The problem will be the snails – will the plants establish before they are eaten to pieces. Cornus ‘Flaviramea’ – an unwanted bush travelled down from the Suffolk garden. 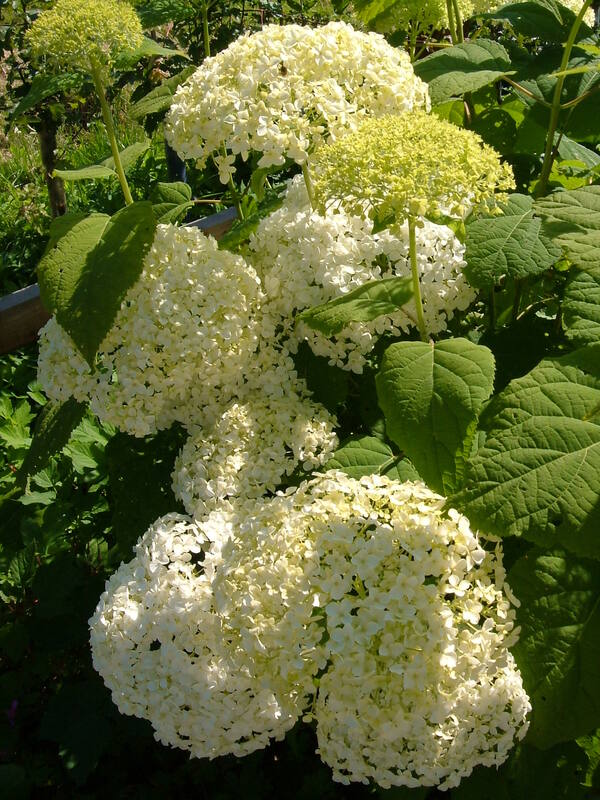 Hydrangea ‘Annabelle’ – I have two bushes which I hope will establish. They grew quite well in the first year, supported by a metal hoop, and the buds are swelling nicely at the moment. Saxifrage ‘London Pride’, Bergenia ‘Abendglut’, Euphorbia ‘Amgdaloides’, and I am thinking about Brunnera ‘Jack Frost’. You could add some ferns too..is the bay tree trimmed so that you can see the stems as this would add another focal point too? Yes you can see the stem of the tree. I may have to resort to ferns, but I am trying to keep these for another part of the garden so that each area has its own plants and character. Right now I am struggling with ‘The Fernery’! 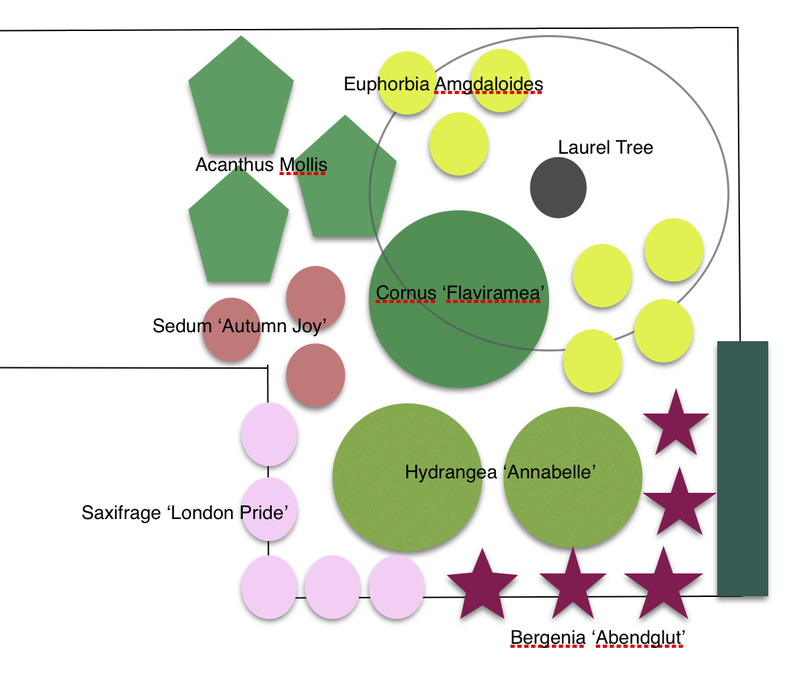 Yes fernery’s are a pain to establish just ask Prince Charles…he had problems at Highgrove!